Contents Corrosive, Flammable, Miscellaneous, Organic Peroxide, Oxidizer, Poison DOT placard flip panels. 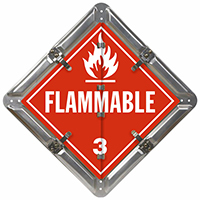 Flip-n-Lock™ placards make it easy and convenient to comply with federal regulatory requirements. Make it easy for your drivers to meet the rules! • Our easy-to-flip system is the preferred placard of thousands of our customers – when compared to the sharp edges, snag-prone systems from others. 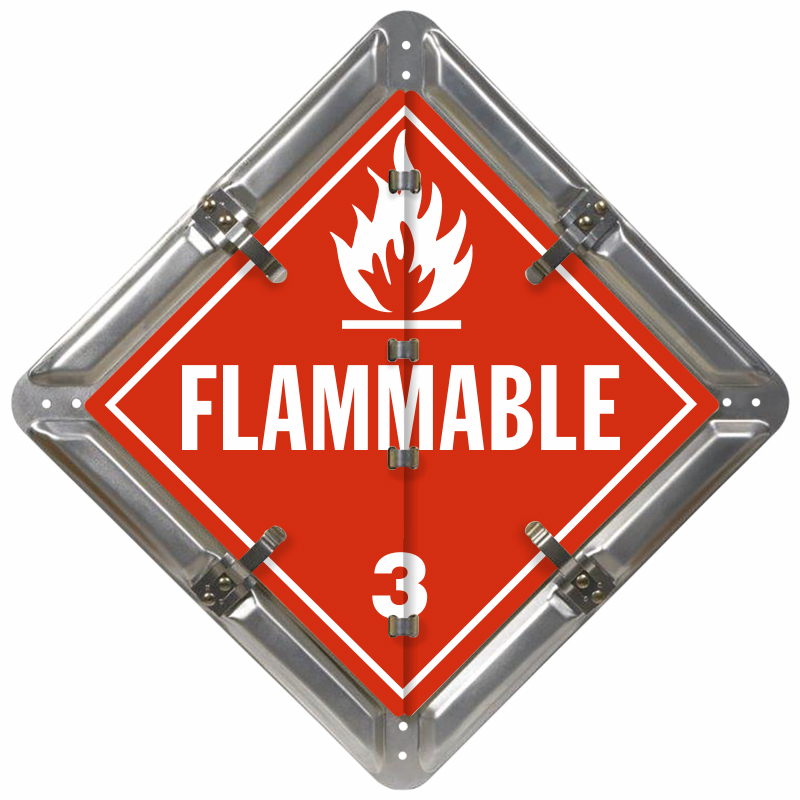 • Placard set includes six common DOT legends: Corrosive, Flammable, Miscellaneous, Organic Peroxide, Oxidizer and Poison. • Aluminum base plate has a natural finish.